Myra Nourmand, a prominent real estate agent representing the Los Angeles market, has joined the prestigious Haute Living Real Estate Network. 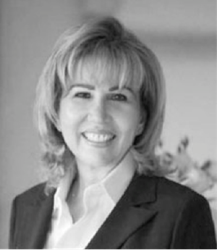 Haute Living Real Estate Network will feature Myra Nourmand as a preferred real estate professional. This premier circle of leading real estate agents presents estates and luxury properties to those planning to purchase foremost residential listings. Featuring properties with world-class amenities in the most exclusive locations, the Haute Living Real Estate Network ensures that readers have access to the market’s finest properties. Haute Living Real Estate Network selects top real estate professionals, creating the nation’s most prominent directory for exceptional listings. The network website is an online destination for all real estate related news and features daily blog posts that provide up-to-date information on affluent markets and real estate developments. Access all of this information and more by visiting http://www.hauteresidence.com/. Myra Nourmand specializes in marketing and selling luxury properties from the Hollywood Hills to Malibu. Myra is the First Lady of Beverly Hills Real Estate. She consistently ranks as one of the country’s top producers, successfully listing and selling properties ranging from $1 million to $40 million. Myra represents entertainment industry executives and has earned the trust and respect of high-profile business leaders and celebrities. Her luxury real estate renown comes from her extensive knowledge of the inventory and her ability to find properties that meet her client’s precise needs. Myra is a highly sought after real estate expert and has appeared on ABC’s The View, HGTV’s Fantasy Open House, Dream Estates, Discover Channel’s Hollywood Real Estate Homes, House & Garden, Fox Business News, The Radio Network, ABC’s The Morning Show, and The Financial Lifeline Radio Show. A role model for success-oriented women across the US, Myra is author of 'From Homemaker to Breadwinner,' a memoir and real estate handbook. Myra is a strong believer in giving back to her community. She actively supports numerous charities and organizations. Myra is also a member of the Women Presidents’ Organization (WPO). A member of Leading Real Estate Companies of the World and RELO, the premier Real Estate Network of leading independent real estate brokers, Myra Nourmand of Nourmand and Associates locates homes anywhere in the United States and throughout the world for her most discriminating clients. To learn more, visit Myra Nourmand’s Haute Residence profile.